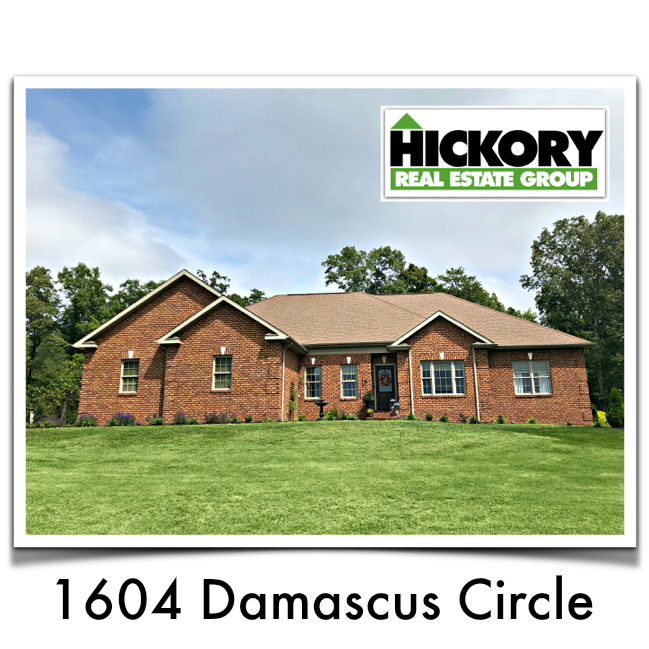 Immaculate brick ranch with 3 bedrooms, 2.5 bathrooms, and full basement on over an acre of land. This home is beautiful inside and out with everything you could want in a home. Hardwood floors throughout. Open living room, an office area, dining room, kitchen with granite counter-tops, pantry and breakfast nook. Spacious master bedroom with sitting area and access to the screened in deck area. Master bath with double vanity, garden tub and a huge walk-in closet. On the other side of the home, bedrooms 2 and 3 feature a jack and jill style bathroom. The full basement is already heated and cooled with it's own separate heat pump, and framed out, ready for you to put the final touches on to double your finished living space. Outside, you have over an acre of gently sloping land on a corner lot to fully enjoy your outside time. Schedule your personal showing today. You won't want to miss this home!